Atoned Splendor is the artist moniker of Goaproductions founder Pete Donaldson. Pete began on a lifetimes pursuit of music very early on by taking up playing the cello at age three. This continued when he took up the piano at age six. Later his interest in electronic dance music developed and he undertook an HND in Music Technology in Manchester. Upon graduation he started working for Flying Rhino records in London, where he cut his Psytrance teeth working alongside the now infamous Rhinos; James Monro, George Barker and Dominic Lamb. Then in the summer of 2002 he went on to work for Fire Recordings, where he worked alongside Cass Cutbush and Peter Martin of Cass and Slide fame. In the summer of 2003 he began working for Raja Ram’s legendary Psytrance label TipRecords. 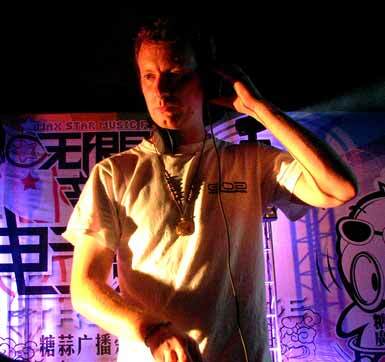 Pete worked at TIP until 2009 when he relocated to Beijing China and started the China based Psytrance organization GoaProductions. 2012 saw the launch of Pete’s solo project Atoned Splendor which has received wide Praise throughout the Psytrance scene. His first release was included in a “Must have Top 10” on Beatport. Since then he has collaborated with Aphid Moon on two tracks Remixed manmademan and also supplied a remix For Dacru Records. The near future is set to see many more Atoned Splendor releases with track requests, remixes and collaborations coming thick and fast! Definitely a name to watch out for amongst up and coming Psytrance producers!